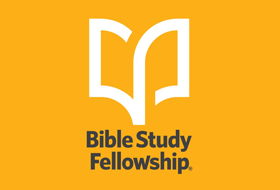 Bible Study Fellowship International (BSF) provides you with the tools, the environment, the relationships, and the support you need to grow deeper in your knowledge and understanding of God and the Bible. This comprehensive, interdenominational Bible study program helps you gain a practical understanding of this important book. The heartbeat of BSF is the study of the Bible. And as your understanding of the Bible increases, you will find your relationship with God deepening. This Bible study is intended for all levels of Bible knowledge. There is no cost involved in joining a BSF class. Both the classes and the material are made available at no charge. Although Bible Study Fellowship meets at Chapelstreet Church, it is not a ministry of Chapelstreet Church. For more information, contact Kevin Oler at 630.204.7356 or email at kevin.oler55@gmail.com.